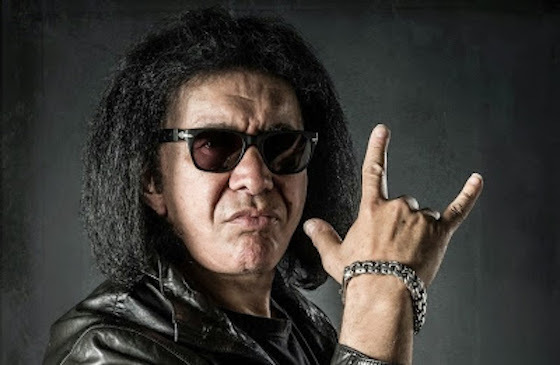 Kiss hero Gene Simmons has been banned for life from Fox News and Fox Business Network programs following "inappropriate and sexist antics" during an office meeting — an unprecedented decision coming from the network with a history of enabling abusers. As The Daily Beast reports, the ban was handed down after Simmons "crudely insulted female Fox staffers, taunted them and exposed his chest, and otherwise behaved like the 'demon' character he plays onstage." Simmons was on the network's Fox & Friends and Fox Business Network program Mornings with Maria on Wednesday (November 15) to promote his new book On Power. The Daily Beast reports that afterwards, he bailed on an additional interview to crash a staff meeting. A source told the publication that Simmons shouted, "Hey chicks, sue me!" before pulling open his shirt to reveal his chest and belly. He then told "Michael Jackson pedophilia jokes, and then bopped two employees on the head with his book, making derisive comments about their comparative intelligence according to the sound their heads made when struck." The site reports that after the incident, Simmons' photograph was posted at the security entrance of the network's Manhattan headquarters. You can watch his Fox & Friends interview in the player below.